The PITAKA New Wallet with its module layers and carbon fiber construction is not only lightweight and very functional but is sure to turn heads. Kickstarter and Indiegogo are home to some pretty interesting crowdsourced projects. 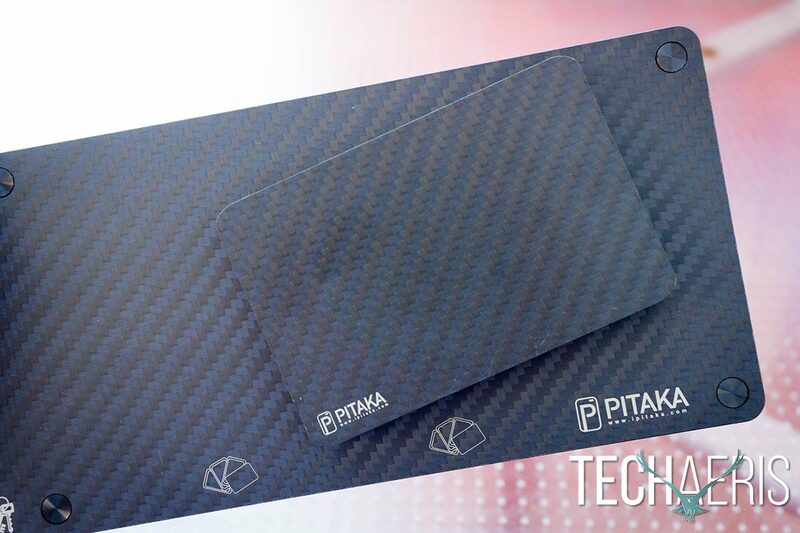 PITAKA is one of the latest to hit up Kickstarter and our PITAKA review takes a preview look at a modular carbon fiber wallet with RFID-blocking and anti-degaussing for magnetic-strip card-friendly use. The PITAKA New Wallet module layers. 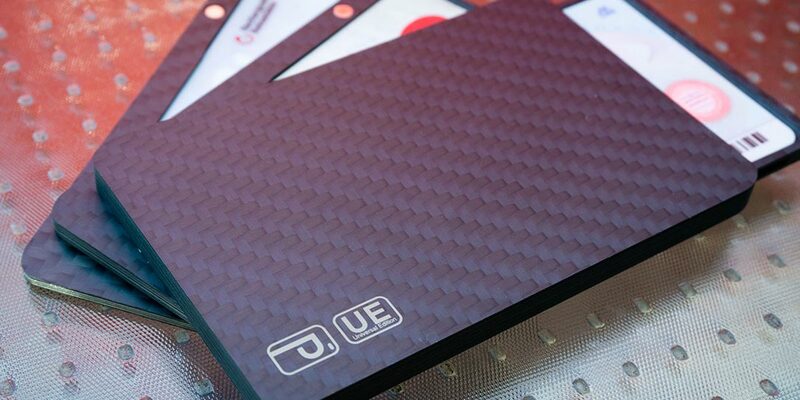 The PITAKA New Wallet is definitely a stylish looking hard wallet with its carbon fiber design and pattern. 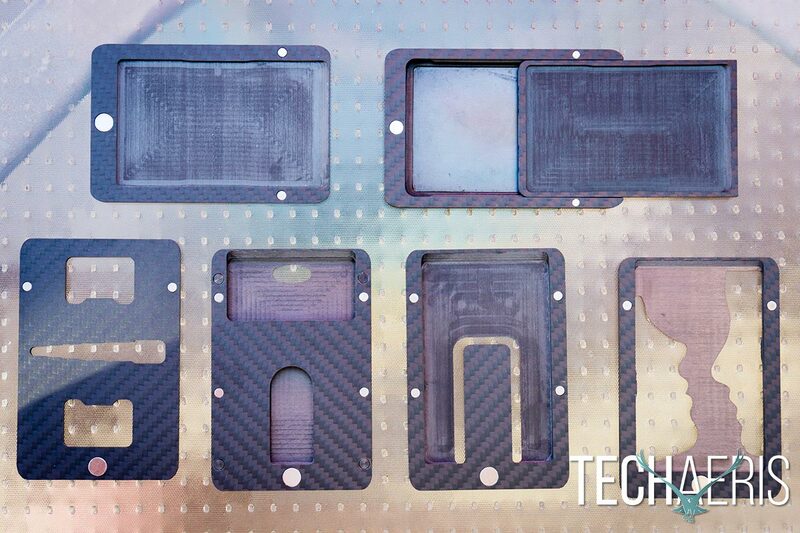 Each module, or layer, consists of multiple thin layers of carbon fiber sandwiched together. The cover module features the PITAKA logo on the front while the back anti-degaussing layer sports the PITAKA icon in the lower corner. NOTE: cards with a magnetic strip should be placed in the anti-degaussing layer as this is the only module that they will be safe in. Placing them in other layers may result in them becoming demagnetized. 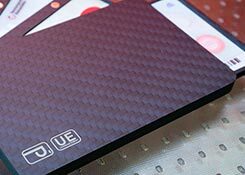 The inside of each layer is tapered on one end which allows you to easily slide your cards into it, and there are two very thin, slightly extended bumps to help hold your card flat. 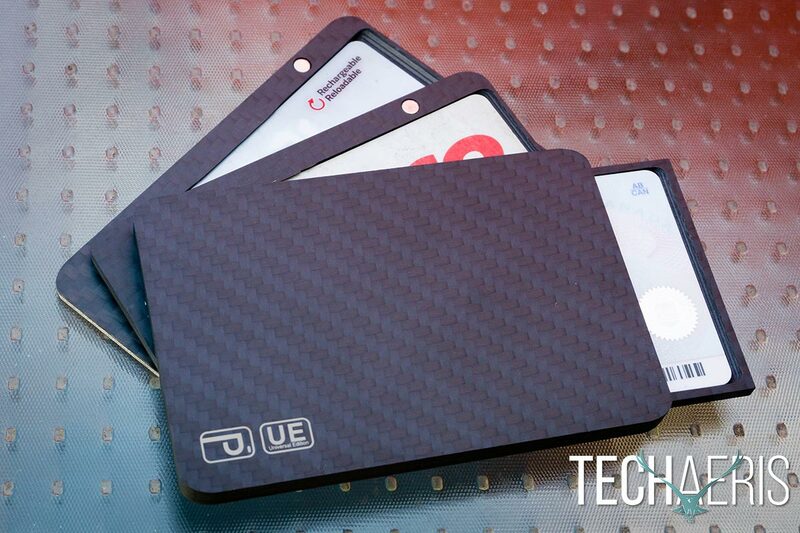 The tapered edge lets you easily insert cards and other items into the layers. 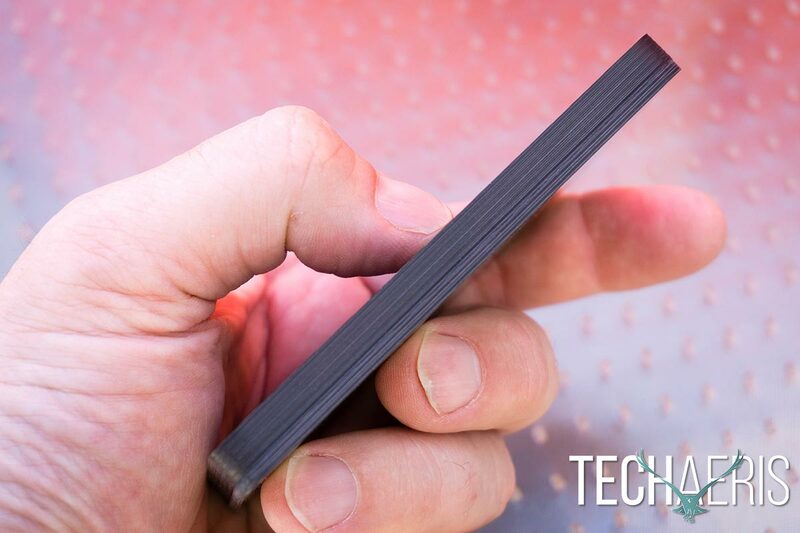 Each layer has a 1/4″ magnet centered on the bottom and two smaller 1/8″ magnets — one on each side — towards the top. As most people know, you can only connect magnets one way so when stacking your PITAKA wallet together, you may have to flip layers to get them to stick to each other. When placed directly on top of each other, the three magnets on each module hold it together with the ones it is between. The magnets keep the layers together when closed or opened. When using the wallet, all you need to do is push gently on one edge and the modules will rotate on the main bottom magnet until the left side magnet reaches the right side magnet and stops it in place. This stoppage gives you more than enough room to slide out your card, money, or other items while keeping the wallet together. Even though the video below is from their previous version of the wallet, it gives you an idea of how the wallet works. The wallet itself is 4″ (10.15cm) in length and 2.6″ (6.7cm) in width. 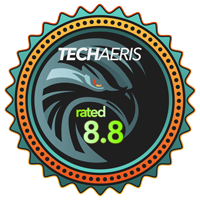 The height of the wallet will vary depending on how many extra modules you choose to use. The slimmest version (PITAKA Lite) — which holds four cards — consists of a thin front layer and a thicker back layer with a slide out piece. 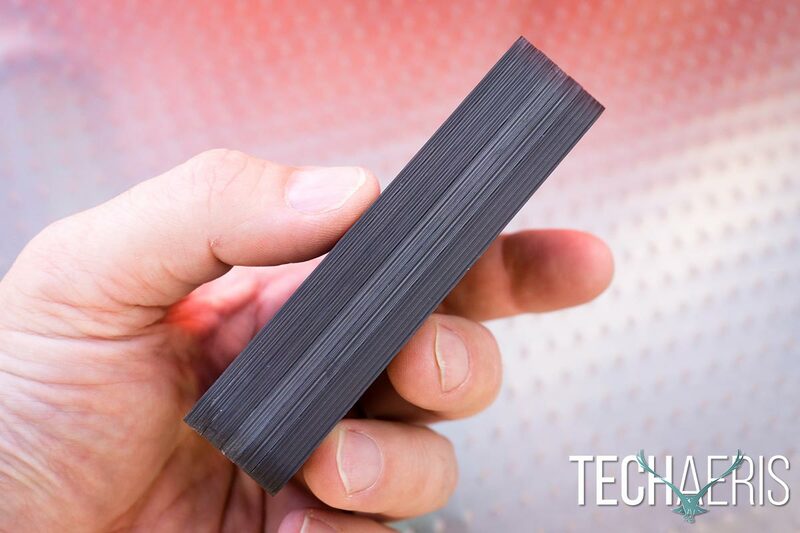 This configuration is only 0.3″ (0.8cm) thick. If you add the Extra Layer (PITAKA New) — which holds two extra cards for a total of six — the thickness of the wallet increases slightly to 0.5″ (1.3cm) thick. Of course, you can add as many layers as you wish and if you use one of each currently available module the wallet quickly becomes quite thick at 7/8″ — which doesn’t sound that bad on paper but when you’re trying to carry it in your pocket, it is rather uncomfortable. If you stick to three or four total layers (including the front cover and anti-degaussing layer), you should be just fine carrying it around in a pocket. 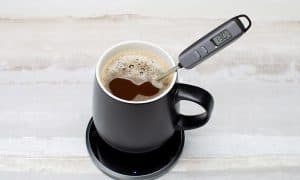 At first, I was concerned due to the hard nature of the wallet, but after using it, the wallet didn’t feel much different than a regular leather or other soft wallets. Being constructed from carbon fiber, it’s fairly lightweight as well. 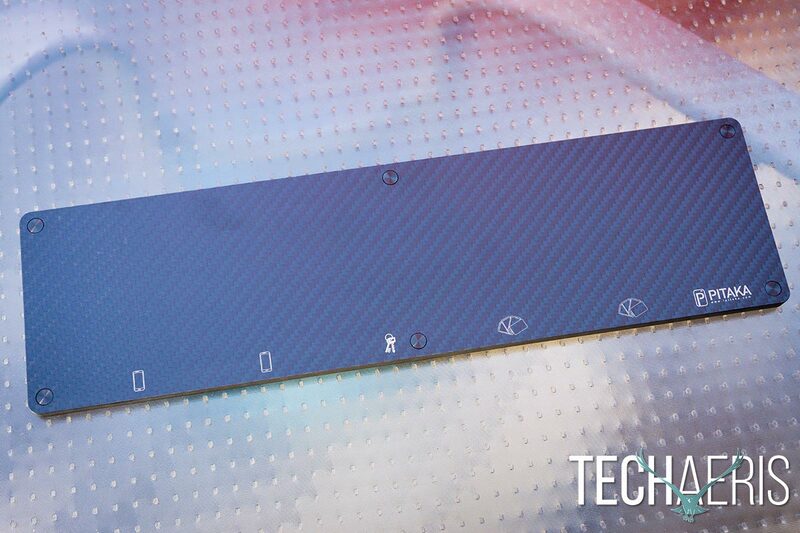 When used with the cover and anti-degaussing layer, the PITAKA wallet is a mere 0.3″ thick. As mentioned above, there are extra layers that you can get with the PITAKA New Wallet. These layers include the Extra Layer which holds two additional cards, a Money Clip which holds money and another card, a Box Layer for coins, keys, SD-cards, change, or anything else you can fit into it, and a Tool Card which includes a screwdriver and bottle openers on each end. Each layer works as described, and while I was hesitant to use the Tool Card to open a bottle, it held up and opened it just fine. The screwdriver is an interesting design and only really works for screws or bolts with a square or other non-round head. Still, it does work in a pinch. It works! Tool Card includes a bottle opener. PITAKA is also offering up a stylish carbon fiber MagBar which comes with four metal plates allowing you to easily hang your phone (if you’re using the PITAKA phone case), PITAKA New Wallet, keys, and anything else you can stick to it. The MagBar itself is roughly 4 1/4 x 15 x 1/2″ and is mounted by hanging it on two screws (included) drilled into a wall. While we didn’t mount it during our testing, the MagBar did hold our keys and the PITAKA wallet with no issues when we held it up vertically. One thing to mention though, as is the case with putting your PITAKA wallet modules together, you’ll need to make sure your wallet is attached to the MagBar with the right side facing it otherwise it will slowly slide off. Another thing to note as well: if you have cards with a magnetic strip in your PITAKA wallet (preferably in the anti-degaussing module), you won’t want to place the wallet on the MagBar. Given the rise of chip cards, however, if you don’t have any cards that rely on the magnetic strip, the MagBar will work just fine. The MagBar allows you to easily “hang” your wallet, keys, and phone (if using a PIKATA phone case). The PITAKA New Wallet really couldn’t be easier to use. Simply slide the cards, money, or other items you want to carry in the wallet into the appropriate layers, slide shut and you’re good to go. After a bit of use, you’ll have no issues with using the wallet to rotate open the specific layer you’re after and keep the wallet together. 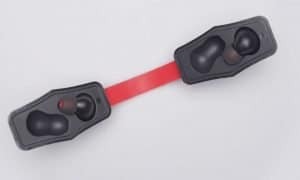 The first few times I tried, I found that a slight push up would cause the bottom magnet to disconnect, but once you get used to the proper motion required, you shouldn’t have any issues. The PITAKA wallet can easily be opened and closed with one hand. 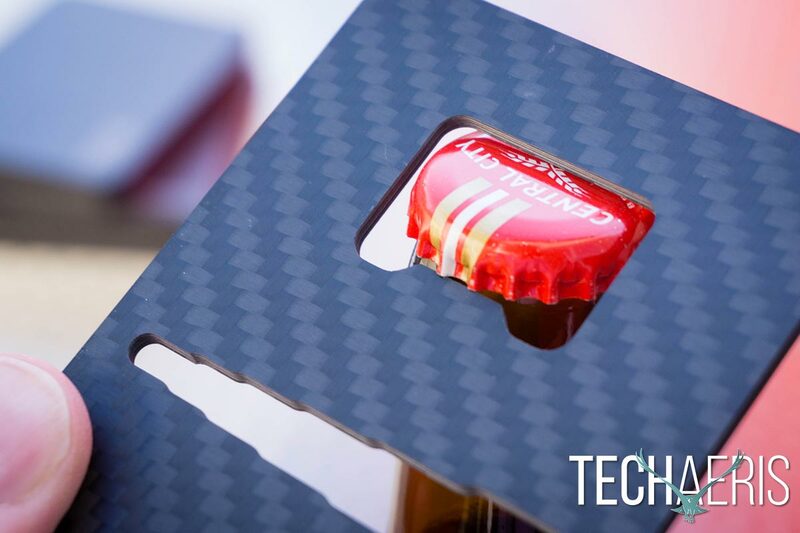 As previously mentioned, each module worked as expected with cards or money sliding in easily, and the Tool Card worked just fine when opening bottles. Adding or removing layers is easy as well: simply pull the wallet apart at the layer you want to remove or add, remove the layer or place the new layer against the magnets on the layer below it and you’re good to go. While it can be thin, the width of the PITAKA New Wallet quickly stacks up as you add more layers. PITAKA is looking to raise $15,000USD in their all or nothing Kickstarter campaign with estimated delivery coming in October. A limited Super Early Bird tier snags you the PITAKA Lite Wallet which consists of the cover module and anti-degassing module for $49USD, the PITAKA New which adds the Extra Layer for $69, or the PITAKA New with two Extra Layers to hold 8 cards total — each $50 off the retail price. 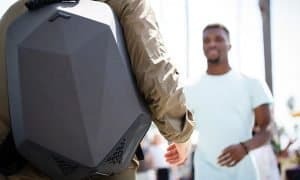 If you don’t get in on the Super Early Bird, the Early Bird for the PITAKA New jumps to $79 and when those are gone the price jumps to $89 at the Kickstarter Special tier. There are plenty of extras as well for additional costs including name engraving ($6), Tool Card ($8), Extra Layer ($12), Money Clip ($18), Box Layer ($24), and MagBar ($39). As you can see, it can get pretty pricey quickly depending on what layers you want to add on. However, you can save a bit with the PITAKA Splurge Edition which gets you one PITAKA New Wallet (6 cards) with all the additional modules and the MagBar for $159 — a savings of $134 off retail. The MagBar will run you an extra $39USD. The PITAKA New Wallet is definitely stylish, lightweight, and easy to use, and being able to add or remove layers as needed is definitely a nifty feature. 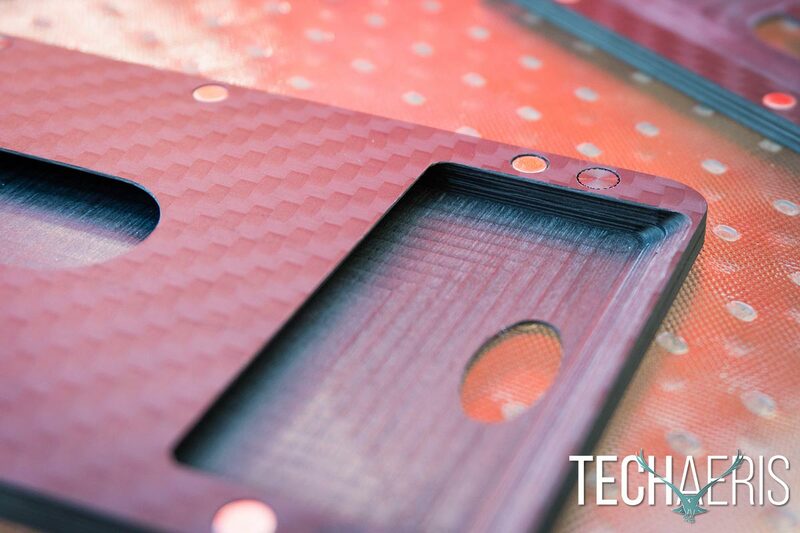 While the pricing may seem expensive, the sturdy, carbon fiber construction is sure to stand up over time. 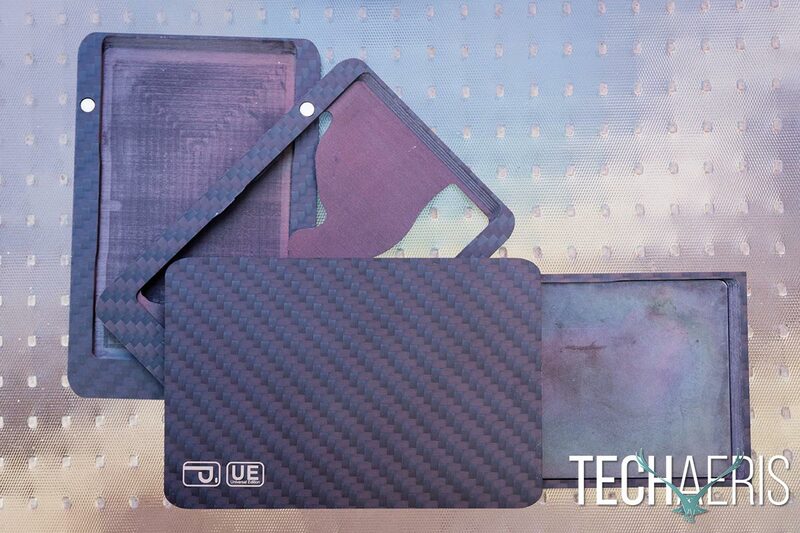 If you’re looking for something a little different to carry around your credit and other cards, money, and other loose items, the PITAKA New Wallet with its module layers and carbon fiber construction is not only functional but is sure to turn heads. *We were sent a sample of the PITAKA New Wallet with extra accessories for the purposes of this review.